At some point, we've all scoured the web for information having ended up with dozens of listings for a single key phrase. While a few of these are actually out there for information, the major chunk have an ulterior motive – marketing. Web content pepered with links is nothing but a content marketing campaign. 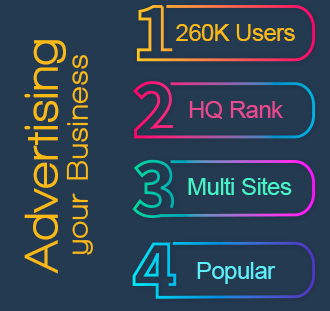 It is used by a large number of business owners to get word out about their business, providing some useful information to prospective customers simultaneously. However, managing a content marketing campaign is not as easy as write, publish and link. It involves some serious groundwork and we've discussed 6 tips to optimize it. What's the objective? The obvious answer is generating leads and sales. How are you going to achieve it? That's the real question. The idea of ​​using content marketing is to boost sales through creating awareness, engaging readers, improving loyalty and building relationships. Here, aggressive promotions through will not help. Rather than a general goal, break up your content marketing strategy into smaller, specific and realistic goals. Speak to them as though you understand them. Provide information that they can use. Share your expertise in your content; you should sound like a voice of authority if you want to build credibility among your readers. Also, identify the factors that trigger purchase. Use and test the data from analytics to craft content. Test the content to see how it performances. Create a plan. This includes the type of content you will create, potential topics, the length of content you think appropriate, the frequency of content publication, how you will include your call-to-action, and the social media channels you will use. Flesh it out and document it. It will help you better understand the loopholes and where you need to improve. Google keeps updating its algorithms; if you are not on the same page with it, your content marketing campaign will fail. Your content will not rank high on search engines. So, if there's anything you've been doing wrong or not doing, use these tips to improve your content marketing strategy.